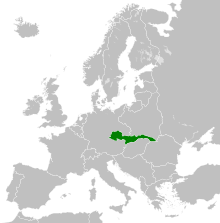 Carpatho-Ukraine or Carpathian Ukraine was an autonomous region within the Second Czechoslovak Republic, created in December 1938 by renaming Subcarpathian Rus which full administrative and political autonomy was confirmed by the Constitutional law of 22 November 1938. 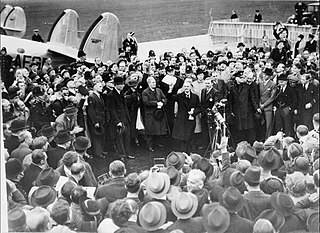 After the breakup of the Second Czechoslovak Republic, it was proclaimed an independent republic on 15 March 1939, headed by president Avgustyn Voloshyn, who appealed to the Axis powers for recognition and support. Nazi Germany did not reply, and the short-lived state was occupied and annexed by the Kingdom of Hungary, crushing all local resistance by 18 March 1939. 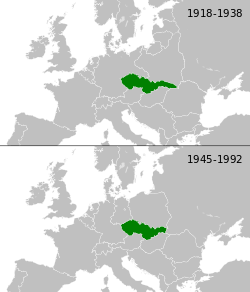 Carpathian Ruthenia was a region in the easternmost part of Czechoslovakia that became autonomous within that country in September 1938, declared its independence as the "Republic of Carpatho-Ukraine” in March 1939, was immediately occupied and annexed by Hungary, invaded by the Soviet Red Army in 1944 and incorporated into the Ukrainian Soviet Socialist Republic in 1946. In total between 1939 and 1944 80,000 Carpathian Ukrainians perished. Jews in Bohemia, today's Czech Republic, are predominantly Ashkenazi Jews, and the current Jewish population is only a fraction of the pre-Holocaust Jewish population. As of 2005, there were approximately 4,000 Jews living in the Czech Republic. There is evidence that Jews have lived in Moravia and Bohemia since as early as the 10th century. Czechoslovakism is a concept which underlines reciprocity of the Czechs and the Slovaks. 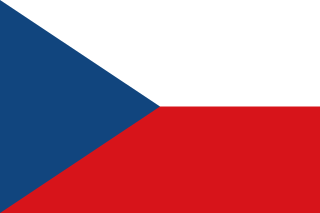 It is best known as an ideology which holds that there is one Czechoslovak nation, though it might also appear as a political program of two nations living in one common state. The climax of Czechoslovakism fell on 1918-1938, when as a one-nation-theory it became the official political doctrine of Czechoslovakia; its best known representative was Tomáš Masaryk. Today Czechoslovakism as political concept or ideology is almost defunct; its remnant is a general sentiment of cultural affinity, present among many Czechs and Slovaks. 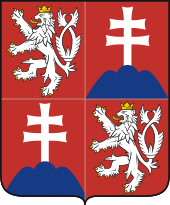 Resttschechei or Rest-Tschechei was the Nazi designation used for the remaining Czech parts of Czechoslovakia that were de facto annexed by Nazi Germany on 15/16 March 1939 as the Protectorate of Bohemia and Moravia with its military occupation. This occurred after an ultimatum was presented to president Emil Hacha during his March visit to Hitler in Berlin, threatenening that its rejection would mean the downright enslavement of the autonomous Czech population. 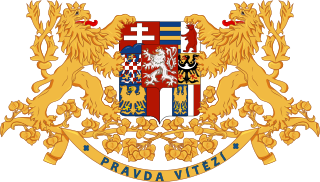 Czechoslovak National Council was an organization founded by Czech and Slovak émigrés during World War I to liberate their homeland from Austria-Hungary. 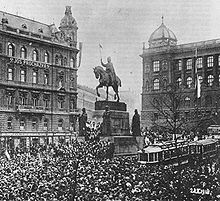 During the closing weeks of the war, the Czechoslovak National Council was formally upgraded to a provisional government and its members were designated to hold top offices in the First Czechoslovak Republic. This article lists political parties in Czechoslovakia (1918–1992).